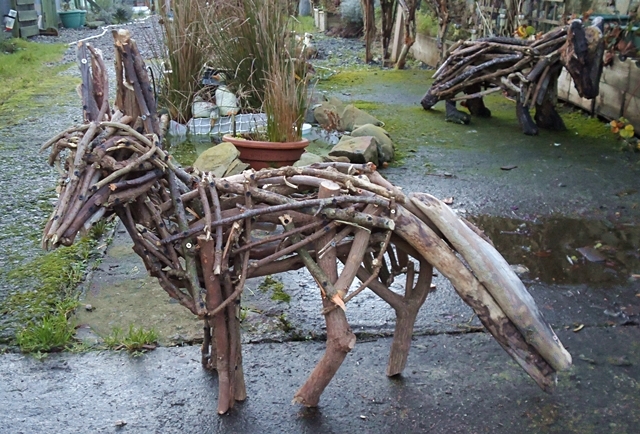 “Horatio The Heron” has now gone to his new home and I have started work on a driftwood fox. I decided to have the fox walking but looking back over his left shoulder, as if startled or on the lookout for danger. As with my previous sculptures, I started work on the legs first, building up through the body to the head and tail. Many of these early pieces of wood are only loosely attached so that I can make adjustments as the fox takes shape. The obvious features are the long tail, large ears and sharp pointed nose. I like to have enough in place at the end of the first session to suggest the complete figure, although that obviously depends on the size of the sculpture. The fox is to be close to life size. I have altered the angle of the head slightly so that the fox is facing forwards and to the left as this looks far better in profile. 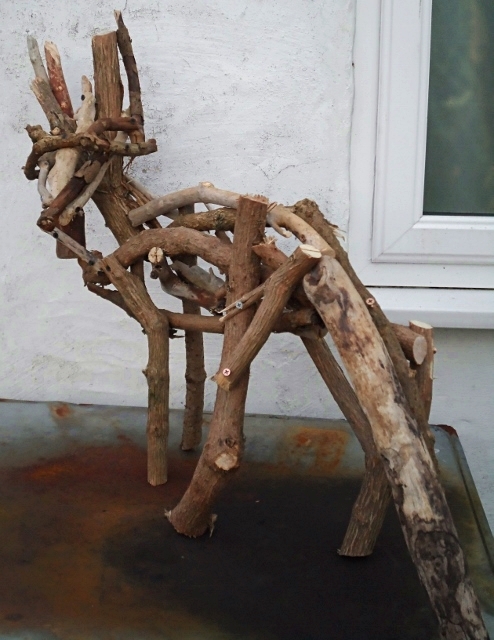 I have also built up around the face and body using smaller pieces of wood and the familiar features of the animal are gradually starting to take shape. 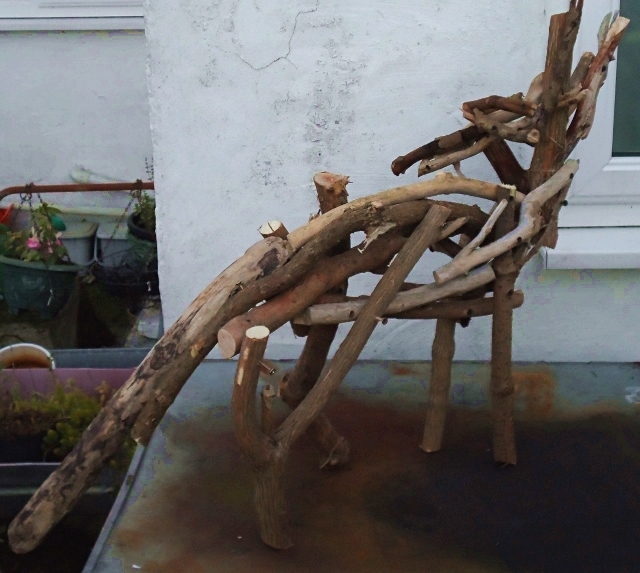 The tail has also been thickened up with extra pieces of driftwood. 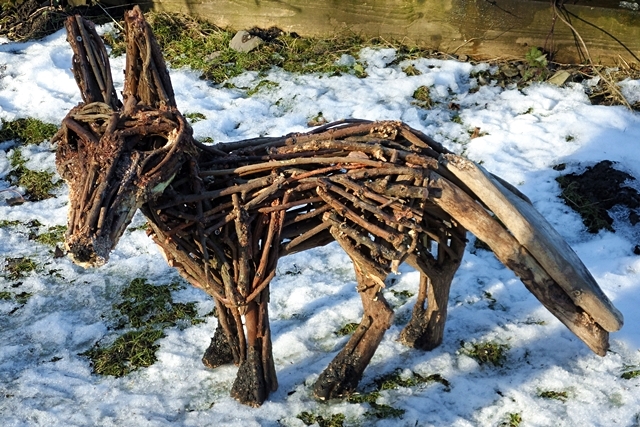 The completed fox in the Ecoarts garden after a light snowfall. 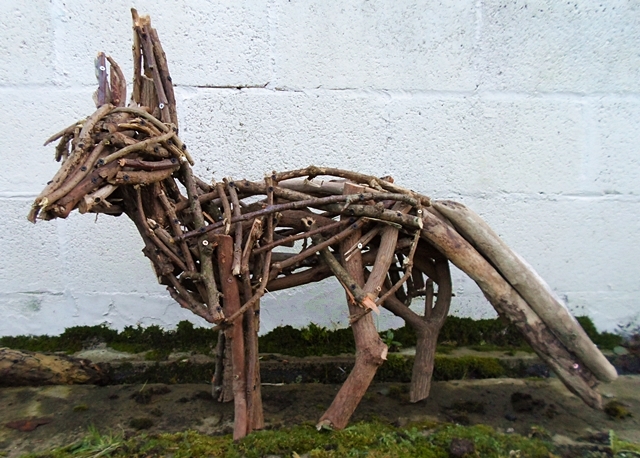 This entry was posted in Crafts, Recycled, Sculptures, Wood and tagged animal sculpture, Animal sculptures, driftwood, driftwood fox, Driftwood Sculptures, fox sculpture, wood sculptures. Bookmark the permalink.